N will be an integer within the representable range of integers in your chosen language. Replaces a non-zero digit and everything after it with 1. This leaves a potential leading - intact and changes all numbers except 0 itself to absolute value 1. Thanks to @aross and @Steadybox for saving a byte! 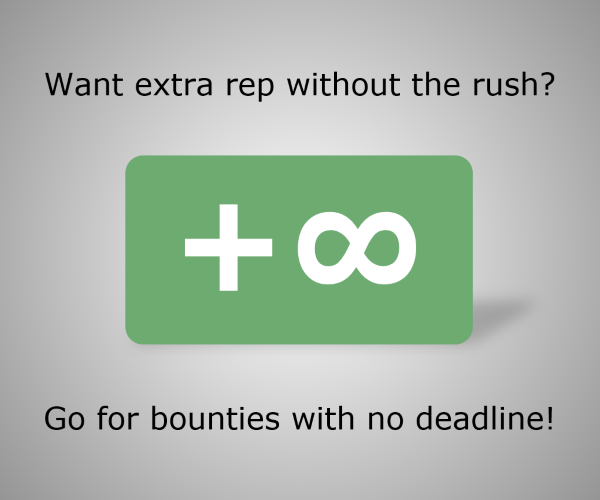 Not guaranteed to work on all systems or compilers, works on TIO. Clip with a single argument clips (or clamps) the input value between -1 and 1. Since the inputs will only be integers, this is the same as using Sign. When you're done, subtract 1 from your state and you get the sign, positive or negative. If the original number is 0, then don't bother doing any of this and just print 0.
moo                                        ;End loop once  is empty. moOmoOmoOMOoMMMOOO                     ;    Navigate to , copy it to the register, and clear . MMMOOM                                     ;If the register contains something (which is true iff the condition ran), paste it and print it. Otherwise, no-op and print 0. I'm still experimenting with golfing it (you will be shocked to discover that golfing in COW is rather difficult), so this may come down a few more bytes in the future. I ? > O 2 @ . . The code is then run with the IP (instruction pointer) starting on the I, facing east. I inputs a signed integer from STDIN, pushing it onto the stack. O - Output the top item as an integer. @ - Terminates the program. ^ - Point the IP north. W - "Sidestep" the IP one spot to the left. ( - Decrement the top item. The TOS is now -1, and the IP wraps around the cube through a bunch of no-ops . until it hits the >. This runs the same output code mentioned above, outputting -1. If the input is positive, the same thing happens as with negative inputs, with one exception: the IP turns right instead of left at the ?, and wraps around the cube to the 2, which pushes a literal 2. This is then decremented to 1 and sent to output. which seems more golfable, but I'm not sure how. Thanks to Sp3000 for saving a byte. There's an unprintable 0x01 before the /. This is a port of my character code-based Labyrinth answer. i     Read the first character of the input. %     Take the 1 modulo this value. n     Output the result as an integer. 0x01  Unknown command, terminates the program. Saved one byte thanks to @DJMcMayhem! Here, ^M is a literal newline. As @nmjcman101 pointed out in the comments, a single regex can be used (:s/\v(-)=[^0]. */\11^M, 20 bytes) instead, but since this is basically the same as a Retina answer would be, I'm sticking to my own method. xVp                        Delete everything except the first character. If the number is negative, this leaves a -, a positive leaves any number between 1 and 9, and 0 leaves 0.
:s/[1-9]/1^M   Replace any number between 1 and 9 with 1. If there was a - in front initially, it will remain and the output will be -1. A single 0 is never replaced, thus resulting in itself. Update: Save additional 16 bytes by aliasing //1/ with a, thanks to Martin Ender. Labyrinth's control flow semantics actually give you a "free" way to determine a number's sign, because the chosen path at a 3-way fork depends on whether the sign is negative, zero or positive. However, I haven't been able to fit a program with junctions into less than 12 bytes so far (although it may be possible). The instruction pointer then hits a dead end, turns around and terminates when % now attempts a division by zero. Doubling the input is necessary to make this work with inputs 1 and -1, otherwise one of the two modulo operations would already attempt a division by zero. Uses the new spaceship operator. Try it online (with test cases)! I abuse two C exploits to golf this down; This is in C (GCC). Revision 2: Abuses a memory/stack bug in GCC where, as far as I can tell, a non-returning function will return the last set variable in certain cases. Revision 4: Subtract a bool cast (!!) from the ternary conditional substitution for nil referenced in revision 2. I'm happy with the fish operator! Try it online! As with basically all good Stack Cats golfs, this was found by brute force, beat any manual attempts by a long shot, and can't easily be incorporated into a larger program. Add a D flag if you'd like to see a step-by-step program trace, i.e. run with -nmD and check STDERR/debug. Stack Cats uses a tape of stacks which are implicitly filled with zeroes at the bottom. At the start of the program, all input is pushed onto the input stack, with a -1 at the base to separate the input from the implicit zeroes. At the end of the program, the current stack is output, except a base -1 if present. negate the top of stack. Note that all of these commands are invertible, with its inverse being the mirror of the command. This is the premise of Stack Cats — all nontrivial terminating programs are of odd length, since even length programs self-cancel. If n is negative, we move left one stack and end with -n on an implicit zero. : swaps, putting a zero on top, and ] moves the zero on top of the -1 we just moved off. _ then subtracts, leaving the final stack like [-1 -1], and only one -1 is output since the base -1 is ignored. If n is zero, we don't move and : swaps, putting -1 on top. ] then moves this left -1 on top of the right -1, and _ subtracts, leaving the final stack like [-1 0], outputting the zero and ignoring the base -1. If n is positive, we move right one stack and end with -n on a -1. : swaps, putting the -1 on top, and ] moves this -1 right, on top of an implicit zero. _ then subtracts, giving 0 - (-1) = 1 and leaving the final stack like , which is output. Input may be a number or an array. The result is number or an array with the corresponding values. Try it online! Or test several cases using array input. This avoids using the builtin sign function (ZS). The monadic sign atom, Ṡ, does exactly what is specified for an integer input, either as a full program or as a monadic link (function taking one argument). This is my first code-golf Octave answer, any golfing tips are appreciated! asin(0) yields 0. Taking the real part of it and dividing it by pi/2 makes no difference to the output. Another case of exactly what it says on the tin - s is the sign function. ;A\ divides the absolute value of the input by the input. This results -1 for negative inputs and 1 for positive inputs. Unfortunately, due to Actually's error handling (if something goes wrong, the command is ignored), 0 as input leaves two 0s on the stack. + rectifies this by adding them (which causes an error with anything else, so it's ignored). This piet code does the standard (n>0)-(n<0), as there is no sign checking builtin. In fact, there is no less-than builtin, so a more accurate description of this method would be (n>0)-(0>n). The text above represents the image. You can generate the image by pasting it into the text box on the interpreter page. For convenience I have provided the image below where the codel size is 31 pixels. The grid is there for readability and is not a part of the program. 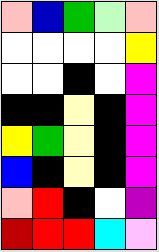 Also note that this program does not cross any white codels; follow the colored codels around the border of the image to follow the program flow. To reduce the filesize any further, I would need to actually change the program (gasp) instead of just compressing the file as I have been doing. I would like to remove one row which would golf this down to 36. I may also develop my own interpreter which would have a much smaller input format, as actually changing the code to make it smaller is not what code golf is about. The mods told me that the overall filesize is what counts for Piet code. As the interpreter accepts text as valid input and raw text has a much smaller byte count than any image, text is the obvious choice. I apologize for being cheeky about this but I do not make the rules. The meta discussion about this makes my opinions on the matter clear. If you think that that goes against the spirit of Piet or would like to discuss this further for any reason, please check out the discussion on meta. It uses sign(x) = abs(x) / x, but with an explicit sign(0) = 0 to avoid zero division error. This works because x / abs(x) is 1 when x is positive and -1 when x is negative. If the input is 0, the program jumps to the output command. Takes the number to STDIN. Then checks if it's zero, if not, returns x/|x| which is either 1 of -1, and outputs 0 if x=0. This is without using the builtin sign of course. Thanks @DJMcMayhem for 2 bytes. Uses a reg-ex to do the substitution. Kind of fun, because it's not a built-in. I have a more fun function, but it's not working the way I expected. This just translates to :%s/\v(-)=[^0]. */\11 which matches one or more - followed by anything but 0, followed by anything any number of times. It's replaced with the first match (so either a - or nothing) and a 1. The regex doesn't match 0, so that stays itself. This accepts the input as an argument rather than in the buffer. é<CR> Insert a new line. kJ Join the two lines together. òhé-ò translates to: "run hé- until breaking". If the 1 was on the second line, this breaks immediately after the h. If it was on the first line, it will insert a - before breaking. ó^$/a This fixes the fact that -1,0,1 will leave a blank, and replaces a blank with the argument register. Not the answer you're looking for? Browse other questions tagged code-golf math number integer or ask your own question.